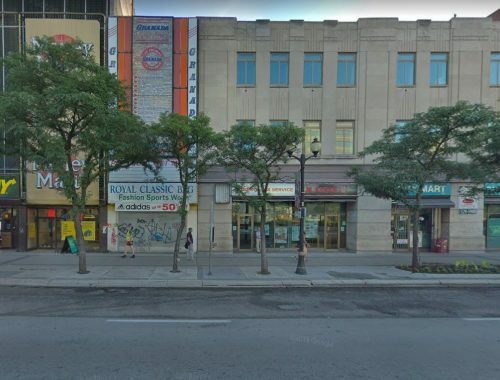 Multi-use retail space for lease in prime downtown core location. Ideal for restaurant, café, fast food or other retail uses. Very high pedestrian traffic along this busy commercial corridor and major bus stop area. Currently a retail store use but suitable for most other uses. Space includes a full high usable basement. Showings by appointment only. Do not go direct. Call for further details and restrictions.